Versace is an Italian fashion label that was founded by Gianni Versace in 1978. 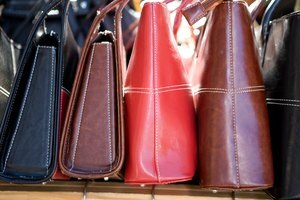 It is known for manufacturing high-end handbags that often cost more than $1,000. If you're looking for a Versace handbag online or from a retailer that isn’t officially Versace and have found a deal that seems too good to be true, you may be looking at a knockoff. Look for certain characteristics to ensure that the handbag you’re interested in is an authentic Versace. Compare the price of the bag with the price of original Versaces from a retail store. 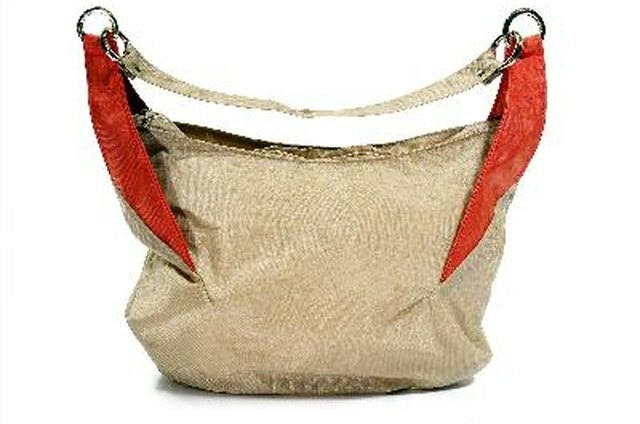 Be wary of an unusually low price, as it is probably an indicator that the bag is a knockoff. Check the tags on the bag. Official tags are attached with a black string to all authentic Versace handbags. The tags are made of ultra-fine cardboard and are often black and gold with a rectangular or square shape. The Versace logo is also featured on the tag with an embossed texture. Open the tag to find a white piece of paper. The paper is the Certificate of Authenticity and contains black text. If the bag you’re looking at doesn’t have this, then it is a fake. Look for a metal stamp that has the word “Versace” printed into the metal near the snaps, buttons and accents. The snap should also be tight-fitting, as a loose snap can be telling of a knockoff. Look in the lining of the bag for the Versace label, which should be stitched on well. Loose stitching can also indicate an attempted fake. Check the bag's material. Versace handbags are often made of suede, python skin, ostrich and crocodile skin. Identifying these materials from cheaper, more average materials may take more research and expertise, as many can appear similar. Check for authentic packaging and stickers. 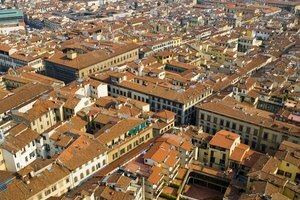 An authentic bag will come in packaging with two separate stickers--one with Italian writing on it that was shipped from Italy, and one with English writing from a U.S. retailer. 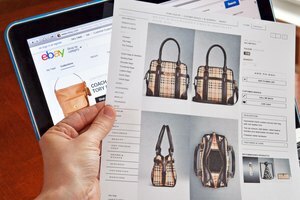 If you’re purchasing a Versace bag from an online retailer, check the credibility of the user or website. Also, look for reviews from real people that show that the seller’s bags are legit. Closely investigate all labels and stickers. Labels and stickers on all of the packaging will not have any misspellings or appear to be cheaply made.